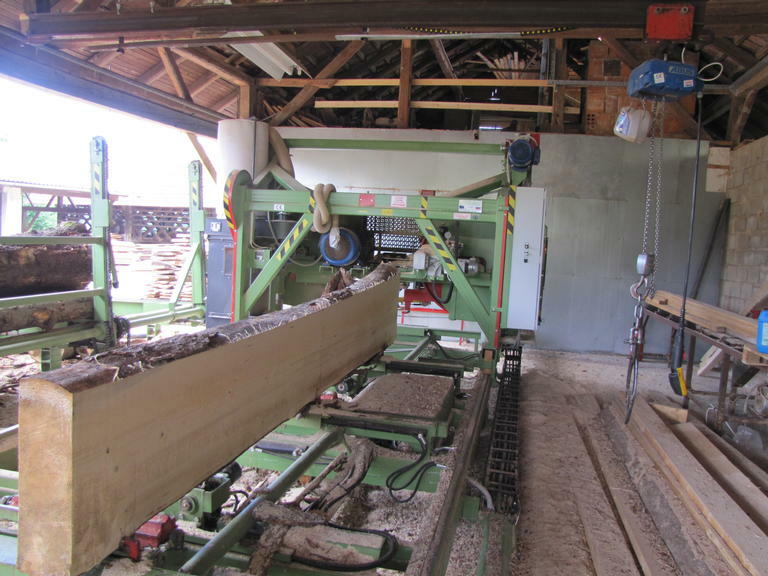 A forester in a mountain area in northern Slovenia successfully expanded his timber processing facilities to add value to wood products, improve productivity, take better care of the environment, and to further involve his son in the business. The Hribernik farm is in a less favoured area at an altitude of 600 metres, with 21.5 ha of forest and 9.5 ha of pasture and arable land. Organic livestock farming has always been the main enterprise but since 2007 forest and wood services have also been important. Waste wood is used as wood chips for heating. Some modernisation of primary wood processing equipment had previously been done. The farmer wanted to modernise production further by purchasing a new modern saw, a dust collector and a modern forklift. A new low-voltage connector was also necessary to provide a better supply of electricity. Combined, these investments aimed to: modernise the wood processing facility, help achieve new products, improve overall efficiency and labour productivity, stabilise income, and improve environmental protection and occupational safety. The investment was undertaken in two phases. 1. By June 2010 the new saw for cutting logs and the forklift truck had been purchased. By May 2011 the dust collector and the low-voltage connector were also on site and functional. 2. The investments have been specifically geared to take advantage of the fact that the farm has a permit to harvest up to 210 metres cubed of wood annually. Great care is needed in preparing documentation for an application. Sustainability is about people as well as new machinery. The new saw and forklift have given the farmer's son new motivation to participate in the activities in the sawmill, which is an example for providing incentive for the younger generation to work and maintain this kind of family farm in the future.